Rachel Richardson drove to the basket and tipped in a runner with 39 seconds left on the clock to take a one-point lead which sealed No. 4 Alexander’s 41-40 victory over No. 5 Coal Grove in the sectional final Saturday afternoon at Jackson High School. The Lady Spartans trailed by nine points early in the third quarter and couldn’t get their shots to fall against the Lady Hornets packed in zone. Richardson’s three-pointer with 2:05 left in the game gave the Lady Spartans their first lead. 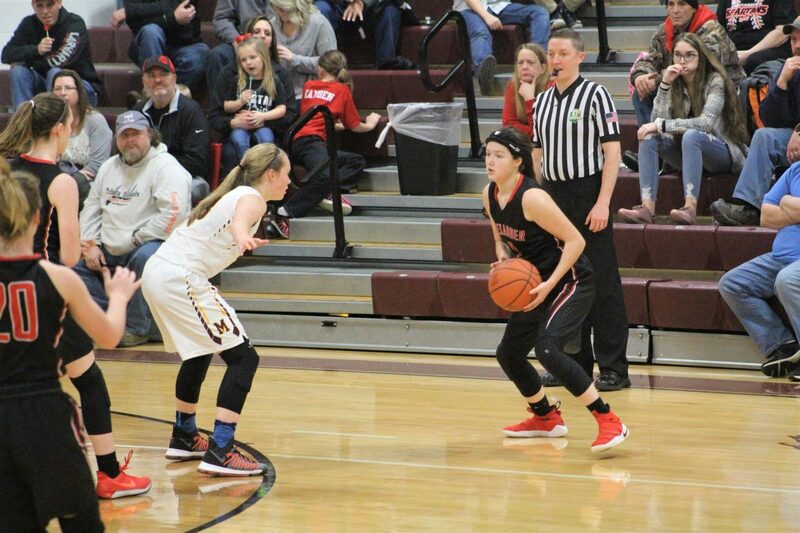 Fouls proved to be a setback for the Lady Spartans as they were in the double bonus in the first half, and Coal Grove only picked up three fouls the entire game. It was definitely postseason play on the court Saturday afternoon as both teams put it out on the line. Alexander is always a team who turns it on in the playoffs as they pick up their 5th sectional title in a row and now look to pick up their third district championship. Richardson finished the game with 17 points and six rebounds and Jadyn Mace tallied nine for the Lady Spartans. Emily Compliment carried the Hornets with 11 points and Destiny Dolen had 10. Thursday night, Alexander will travel to face the number one seed Minford who the Lady Spartans have beaten the past two seasons in the District title game. The game is at Waverly high school with a 6:15 tip-off time.